- 9 Temperature settings gives variable temperatures for different hair types. The Bio Ionic Ismooth Conditioning Flat Iron has cushion plates, which are made to plump and recondition hair so that hair is not left flat. The Bio Ionic Ismooth Conditioning Flat Iron uses Fluoro-Ionic Coasting to glide along the hair without snagging strands. 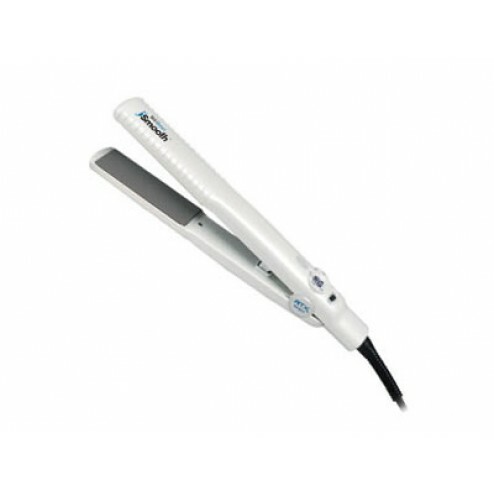 It is known as the “conditioning” ionic hair straightener because it preserves the hair’s natural oils and moisture. 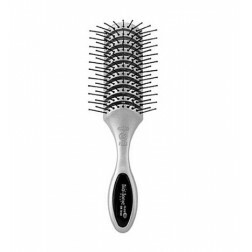 The Bio Ionic Ismooth Conditioning Flat Iron is great for retexturizing hair. It also has variable temperatures that reach up to 400 degrees F.
- Coasting protects & glides easily.